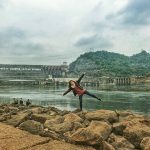 You just have a half day to visit Hue city, or you do not want to do a long day trip. Hue half day tour by cyclo is an amazing activity for you to explore Hue Imperial City, Dong Ba Market, and Ho Chi Minh Old House. 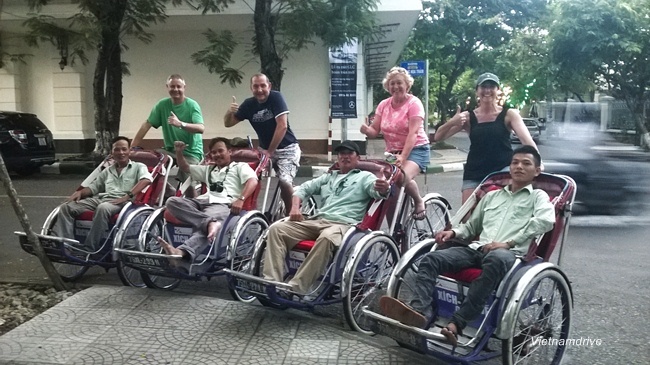 An interesting cyclo ride tour will be a great experience for your time when staying at Hue City. Now, book this tour with Vietnamdrive to get a private wonderful tour. We will start from your hotel in Hue City center; if your hotel is out of the city center, please tell us to range an extra transfer. Cyclo riders will take you to go on the lovely Hue streets. Then, we go across the historic bridge Trang Tien, the first one, crossing the Perfume River. You will have chances to take pictures of the romantic city. We continue riding to stop at the colorful local market Dong Ba. This market is the biggest one in Hue city for the daily business of the local people. You will spend your time here to take pictures of daily local life. During 30 minutes at the market, you can try a normal habit of most of the Vietnamese people when they go shopping. That is bargaining!!! After that, we will ride through the busy streets to come into the citadel. We stop at the old house of Ho Chi Minh to visit it. This house is designed with traditional style. We then ride to the Royal Palaces. And we stop at the Noon Gate of the old Imperial City of Hue. You will have an opportunity to visit the impressive home of the Nguyen Dynasty emperors around one hour. Many of the palaces and temples were destroyed during Tet Offensive in 1968, but they are gradually being restored. Then, we go back your hotel. Tour includes cyclos, English speaking guide (as your request) and entrance fee (as your request). 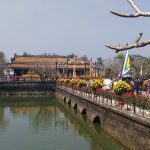 Highlights in Hue Vietnam include the royal citadel, splendid royal tombs and the Buddhist pagoda Thien Mu, which you can do Hue Day Tour to explore the charm of Hue city. You will find out the Hue Imperial City in the 19th century and nowadays with unforgettable memories. We will start Hue Day Tour from your hotel in Hue City, Vietnam at 8:30 (suggested time) from your hotel in Hue city. We will drive to visit the former Imperial Citadel where the Nguyen Dynasty ruled between 1802 and 1945. Then, we take a short drive along the beautiful Perfume River to the Thien Mu Pagoda – Heavenly Lady Pagoda, the oldest and nicely located Buddhist pagoda. After enjoying the great view and take photos from the Heavenly Lady Pagoda, we explore the colorful market Dong Ba where you can get the lovely photos of the daily local life. In the afternoon, we drive to the splendid royal tombs to visit two of 6 royal tombs; Tu Duc and Khai Dinh tombs are the best. Then, we come back the hotel. We will end Hue Day Tour around 4:30 am at your hotel. Take a dragon boat on the romantic Perfume River Hue to have a chance to enjoy the daily life of the local people and Lang Chai-the fishing village on the River; the oldest Holy Lady Pagoda- Thien Mu, some of the magnificent Royal Mausoleums and the Jade-Cup Temple along the river banks. Start at 8:00 from the boat dock for a lovely cruise on the Perfume River, enjoy the beauty of the city and the tranquil villages on the riverbanks. Firstly, take pictures of Lang Chai – the Fishing village on the River. Then, move up in order to photo the Trang Tien Bridge– the first one crossing the Perfume River. Along riverbanks, you will also be able to view the old architectural buildings of the Nguyen Dynasty left: the Enjoyable Royal Building and the flag pole on the right riverbank. Continue running to visit the Thien Mu pagoda, the oldest and most beautiful Buddhist monument. Then, take the boat to go through the tranquil and beautiful countryside along the River before stopping exploring the Hon Chen Temple– the Jade Cup Temple which is the most ancient and holy one located at the deepest stretch of the river. Go back the boat to move to the boat parking for walking to visit Khai Dinh Tomb which with splendid and meticulous mosaics. The last place to stop is the mausoleum of the former emperor Minh Mang. Spend your time exploring the vast grounds of this complex with its many temples and beautiful gardens. Return Hue by your dragon boat, end the trip at boat station. Please contact us to book or get inquiry! Thank you! Hue is a beautifully located city on the Perfume River banks. As a center of Vietnamese Buddhist religion and education, as the capital of Vietnam during the Nguyen dynasty from 1802 to 1945 and also as the historical area, Hue is considered as a typical window into Vietnam to explore the culture and history of both Vietnam and Hue. We start from your hotel in Hue City to enjoy the morning drive through lovely streets and along the beautiful Perfume River to visit the Holy Lady Pagoda (Thien Mu Pagoda), the oldest and most beautiful one located on the hill of the north river bank. We spend the time to enjoy the view and learn the Buddhist life of monks. Then, we drive the short distance to the Literature of Temple, the oldest University during the Nguyen Dynasty. The memories falling into oblivion will be relived in your photos. We turn back to a famous garden house- An Hien which is typical in Hue as well as in Vietnam. You will discover the use of Feng-shui technique in the arrangement of living. Then, we come to the front of Quoc Hoc High School, a famous high school in Vietnam where many important people of Vietnam had been used to study here. General Vo Nguyen Giap-strategist of the Viet Minh Victory at Dien Bien Phu, Pham Van Dong- North Vietnam’s Prime Minister, Do Muoi- the general secretary and former prime minister and even Ho Chi Minh, Uncle Ho were the students of this school. You will have a chance to take pictures of the old buildings here and of school girls in Ao Dai- the traditional long dress if it’s on time to finish the school (unless Sunday and summer holidays). After that, we continue driving through the rice field to a classic covered bridge Thanh Toan where you can enjoy the beauty of the simple countryside. Then, on the way back the city center, stop to take pictures of typical family temples where the ancestors are worshiped. The trip ends at your hotel. Departure for this tour: Daily; duration: half day; type of the tour: private tour. At night, when the light illuminates to the Perfume River, Truong Tien Bridge becomes full of enchantment. Along the river and near the bridge, Nguyen Dinh Chieu Street starts being busier. Many people come here to walk to enjoy fresh air, to taste the local food, and enjoy the coffee. Pham Ngu Lao, Chu Van An and Vo Thi Sau Street located in the centre of Hue City are considered as foreign town, where there are a lot of restaurants selling different kinds of beer. It is good to spend time here with friends at night. Sitting on the cyclo to relax while the rider rides you around the city. What an interesting experience! The cyclo (3 wheels of the bike) runs many streets that you can see the life of the local people at night, and you can take pictures while sitting on it. It’s around 100,000VND (~ 5USD) for 30 minutes, and be careful to use this service to avoid scamming. You can book through the travel agents or your hotel. On the river near the Trang Tien Bridge, there are many dragon boats organizing the folk song performance on the river. You can buy ticket here from 120,000VND per person to join the group to enjoy the show. You can book a private show with much high price depending on the size of the group. After singing, you get chance to drop the lotus lights on the Perfume River to wish the good things for your relatives and life. Please tell us the attivity which you would like to do when booking! Thank you!